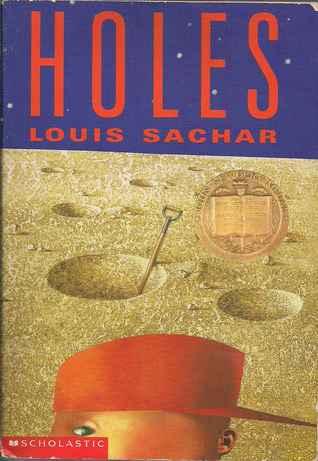 This week’s Top Ten Tuesday is devoted to the top ten books from my childhood (teen/college years) that I would love to re-visit. These books are, essentially, a smattering of my youth. Enjoy! Goodreads Summary: It was a dark and stormy night; Meg Murry, her small brother Charles Wallace, and her mother had come down to the kitchen for a midnight snack when they were upset by the arrival of a most disturbing stranger. 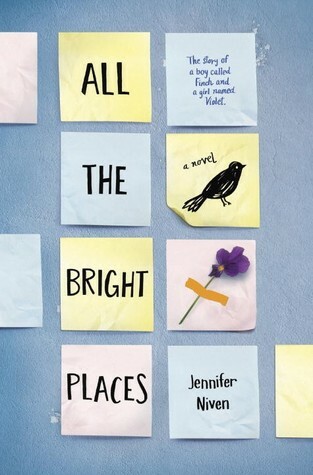 As Sal entertains her grandparents with Phoebe’s outrageous story, her own story begins to unfold — the story of a thirteen-year-old girl whose only wish is to be reunited with her missing mother. Goodreads Summary: “If you take a bad boy and make him dig a hole every day in the hot sun, it will turn him into a good boy.” is motto for Camp Greenlake. Stanley runs away to find pal Zero. Their journey to freedom becomes a battle with hunger, thirst and heat in the shadow of Big Thumb. The mountain is entwined in the Yelnatz’s unlucky history. To get there means salvation. 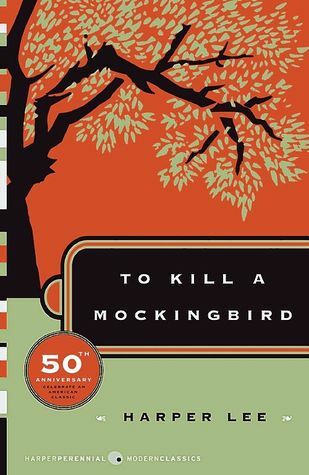 Goodreads Summary: The unforgettable novel of a childhood in a sleepy Southern town and the crisis of conscience that rocked it, To Kill A Mockingbird became both an instant bestseller and a critical success when it was first published in 1960. It went on to win the Pulitzer Prize in 1961 and was later made into an Academy Award-winning film, also a classic. Compassionate, dramatic, and deeply moving, To Kill A Mockingbird takes readers to the roots of human behavior – to innocence and experience, kindness and cruelty, love and hatred, humor and pathos. 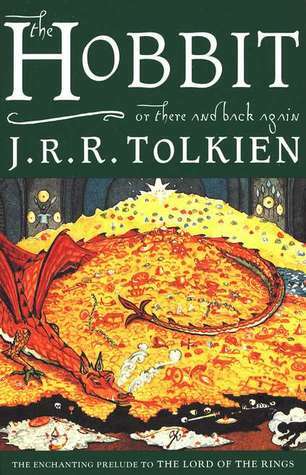 Goodreads Summary: In a hole in the ground there lived a hobbit. Not a nasty, dirty, wet hole, filled with the ends of worms and an oozy smell, nor yet a dry, bare, sandy hole with nothing in it to sit down on or to eat: it was a hobbit-hole, and that means comfort. 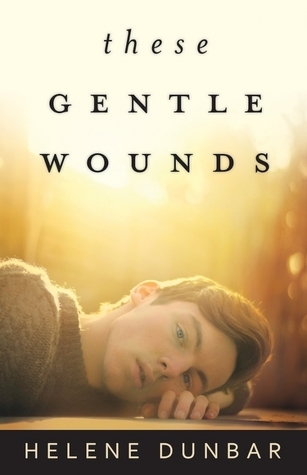 Goodreads Summary: A teenager struggles through physical loss to the start of acceptance in an absorbing, artful novel at once honest and insightful, wrenching and redemptive. On a sunny day in June, at the beach with her mom and brother, fifteen-year-old Jane Arrowood went for a swim. And then everything — absolutely everything — changed. 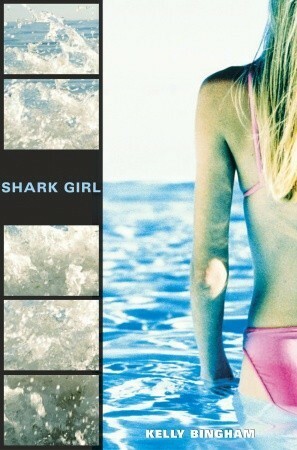 Now she’s counting down the days until she returns to school with her fake arm, where she knows kids will whisper, “That’s her — that’s Shark Girl,” as she passes. In the meantime there are only questions: Why did this happen? Why her? What about her art? What about her life? 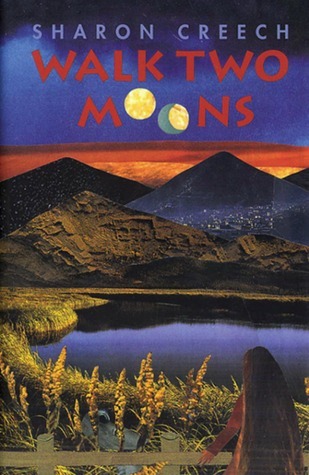 In this striking first novel, Kelly Bingham uses poems, letters, telephone conversations, and newspaper clippings to look unflinchingly at what it’s like to lose part of yourself – and to summon the courage it takes to find yourself again. 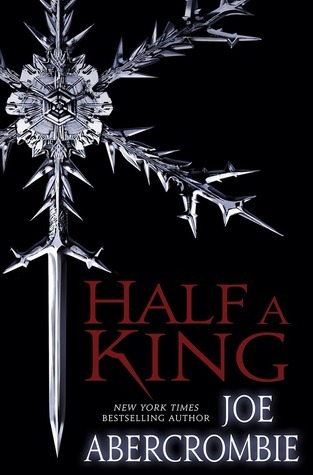 Goodreads Summary: Within Cole Matthews lie anger, rage and hate. Cole has been stealing and fighting for years. This time he caught Peter Driscal in the parking lot and smashed his head against the sidewalk. Now, Peter may have permanent brain damage and Cole is in the biggest trouble of his life. Cole is offered Circle Justice: a system based on Native American traditions that attempts to provide healing for the criminal offender, the victim and the, community. With prison as his only alternative, Cole plays along. He says he wants to repent, but in his heart Cole blames his alcoholic mom his, abusive dad, wimpy Alex–everyone but himself for his situation. Cole receives a one-year banishment to a remote Alaskan island. There, he is mauled by Mysterious white bear of Native American legend. Hideously injured, Cole waits for his death His thoughts shift from from Anger to humility. To survive, he must stop blaming others and take responsibility for his life. Rescuers arrive to save Cole’s but it is the attack of the Spirit Bear that may save his soul. 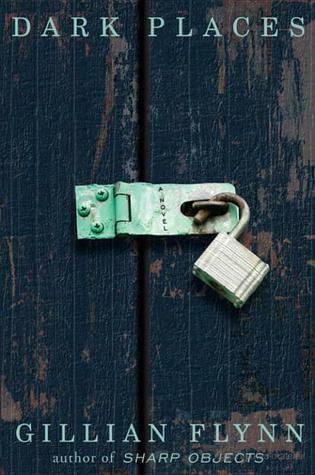 Ben Mikaelsen paints a vivid picture of a juvenile offender, examining the roots without absolving solving him of responsibility for his actions, and questioning a society in which angry people make victims of their peers and communities. 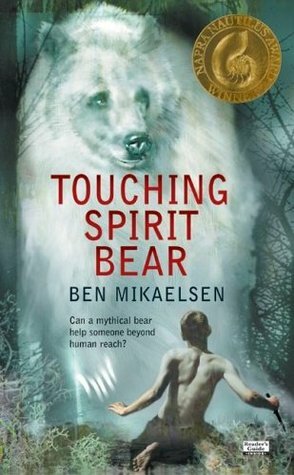 Touching Spirit Bear is a poignant testimonial to the power of a pain that can destroy, or lead to healing. 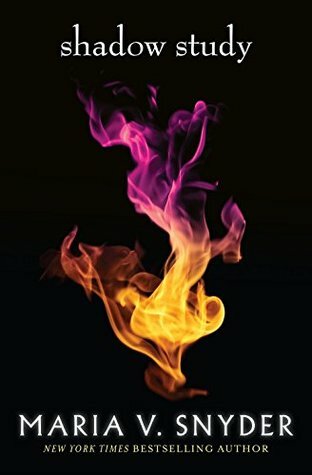 Goodreads Summary: Journeys to the end of the world, fantastic creatures, and epic battles between good and evil—what more could any reader ask for in one book? The book that has it all is The Lion, the Witch and the Wardrobe, written in 1949 by Clive Stables Lewis. But Lewis did not stop there. Six more books followed, and together they became known as The Chronicles of Narnia. This edition presents all seven books—unabridged—in one impressive volume. 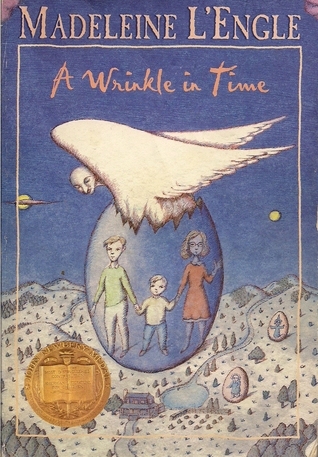 The books are presented here according to Lewis’ preferred order, each chapter graced with an illustration by the original artist, Pauline Baynes. 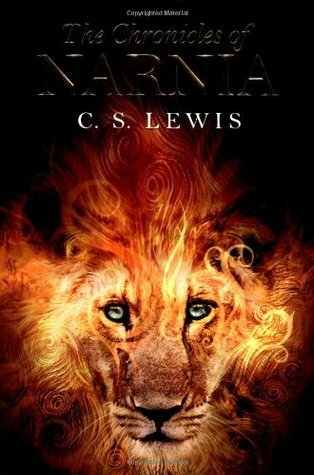 Deceptively simple and direct, The Chronicles of Narnia continue to captivate fans with adventures, characters, and truths that speak to readers of all ages, even fifty years after they were first published. Goodreads Summary: Welcome to Elsewhere. It is warm, with a breeze, and the beaches are marvelous. It’s quiet and peaceful. You can’t get sick or any older. Curious to see new paintings by Picasso? Swing by one of Elsewhere’s museums. Need to talk to someone about your problems? Stop by Marilyn Monroe’s psychiatric practice. 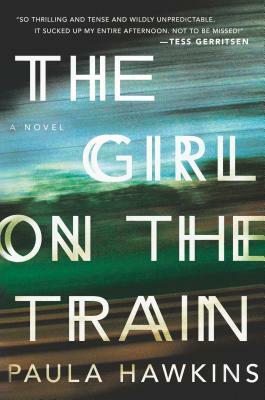 Goodreads Summary: Margaret Simon, almost twelve, has just moved from New York City to the suburbs, and she’s anxious to fit in with her new friends. When she’s asked to join a secret club she jumps at the chance. 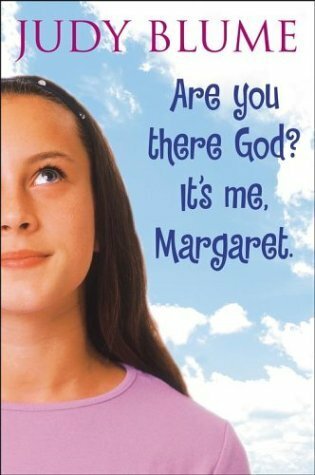 But when the girls start talking about boys, bras, and getting their first periods, Margaret starts to wonder if she’s normal. There are some things about growing up that are hard for her to talk about, even with her friends. Lucky for Margaret, she’s got someone else to confide in… someone who always listens. 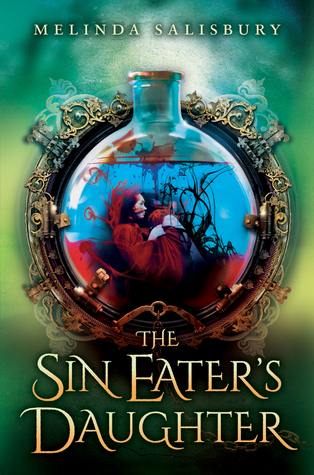 Goodreads Summary: New York Times bestselling author Maria V. Snyder wowed readers with Poison Study, the unforgettable story of poison taster Yelena. Now she’s back with a new tale of intrigue. Goodreads Summary: Sometimes I wish I’d lost a leg or something. Everyone can understand that. They never get it when what’s been broken is inside your head. 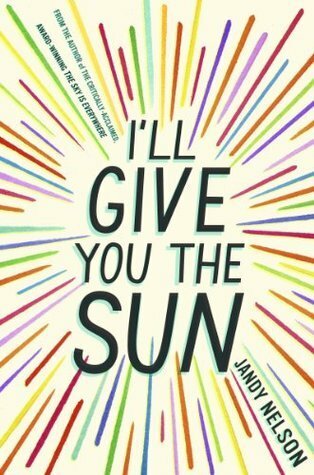 Goodreads Summary: The Fault in Our Stars meets Eleanor and Park in this exhilarating and heart-wrenching love story about a girl who learns to live from a boy who intends to die. 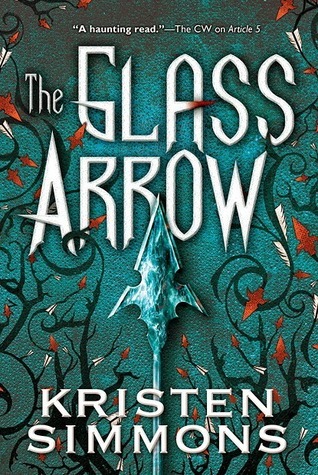 Goodreads Summary: The Handmaid’s Tale meets Blood Red Road in Glass Arrow, the story of Aya, who lives with a small group of women on the run from the men who hunt them, men who want to auction off breeding rights to the highest bidder. In a world where females are scarce and are hunted, then bought and sold at market for their breeding rights, 15-year-old Aya has learned how to hide. With a ragtag bunch of other women and girls, she has successfully avoided capture and eked out a nomadic but free existence in the mountains. But when Aya’s luck runs out and she’s caught by a group of businessmen on a hunting expedition, fighting to survive takes on a whole new meaning. 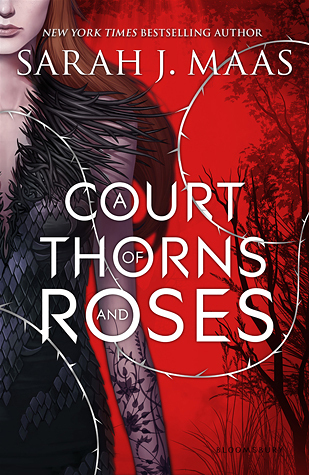 Goodreads Summary: A thrilling, seductive new series from New York Timesbestselling author Sarah J. Maas, blending Beauty and the Beast with faerie lore. Goodreads Summary: Reality, it turns out, is often not what you perceive it to be—sometimes, there really is someone out to get you. 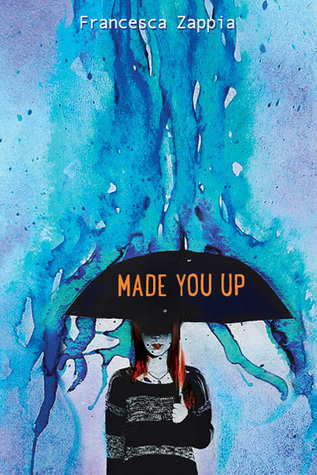 Made You Up tells the story of Alex, a high school senior unable to tell the difference between real life and delusion. 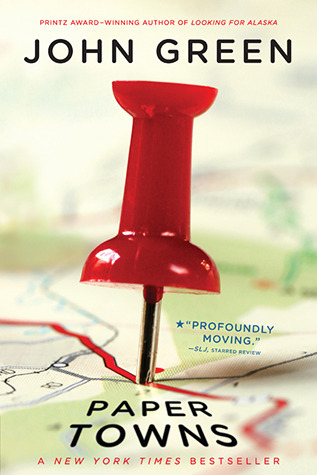 This is a compelling and provoking literary debut that will appeal to fans of Wes Anderson, Silver Linings Playbook, and Liar. Movie Monday is a semi- weekly feature I am hosting here at Cracken the Spines. The idea behind this meme is to feature all of the fabulous films that have been adapted to the screen from our favorite books! Feel free to join in by leaving a comment or leaving a link back to your site. The more the merrier! 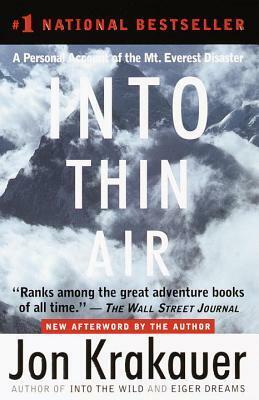 Goodreads Summary: Into Thin Air is a riveting first-hand account of a catastrophic expedition up Mount Everest. In March 1996, Outside magazine sent veteran journalist and seasoned climber Jon Krakauer on an expedition led by celebrated Everest guide Rob Hall. Despite the expertise of Hall and the other leaders, by the end of summit day eight people were dead. Krakauer’s book is at once the story of the ill-fated adventure and an analysis of the factors leading up to its tragic end. Written within months of the events it chronicles, Into Thin Air clearly evokes the majestic Everest landscape. As the journey up the mountain progresses, Krakauer puts it in context by recalling the triumphs and perils of other Everest trips throughout history. The author’s own anguish over what happened on the mountain is palpable as he leads readers to ponder timeless questions. 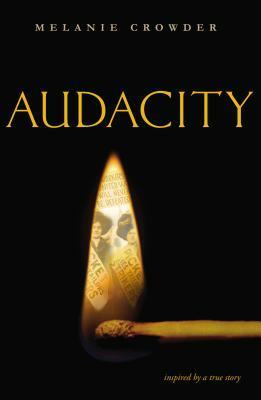 Goodreads Summary: Libby Day was just seven years old when her evidence put her fifteen-year-old brother behind bars. 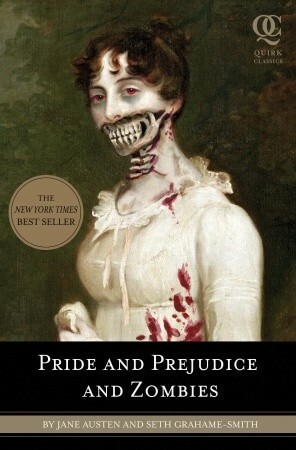 Goodreads Summary: Mary Shelley began writing Frankenstein when she was only eighteen. At once a Gothic thriller, a passionate romance, and a cautionary tale about the dangers of science, Frankenstein tells the story of committed science student Victor Frankenstein. 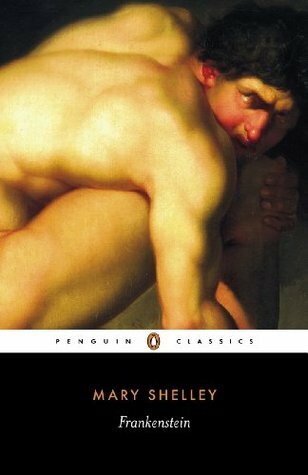 Obsessed with discovering the cause of generation and life and bestowing animation upon lifeless matter, Frankenstein assembles a human being from stolen body parts but; upon bringing it to life, he recoils in horror at the creature’s hideousness. Tormented by isolation and loneliness, the once-innocent creature turns to evil and unleashes a campaign of murderous revenge against his creator, Frankenstein. 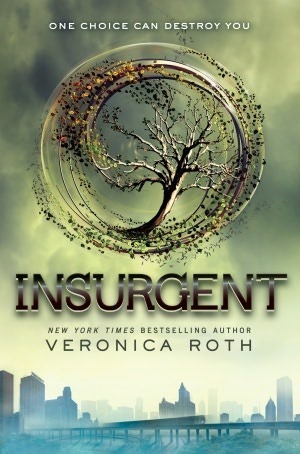 Goodreads Summary: Insurgent is a 2012 science fiction young adult novel by American novelist Veronica Roth, the second book in the Divergent trilogy. As the sequel to the 2011 bestseller Divergent, it continues the story of Tris Prior and the dystopian post-apocalyptic version of Chicago. Following the events of the previous novel, a war now looms as conflict between the factions and their ideologies grows. 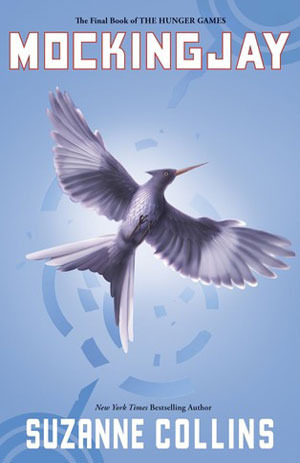 While trying to save the people that she loves, Tris faces questions of grief, forgiveness, identity, loyalty, politics, and love. Goodreads Summary: Alice Howland is proud of the life she worked so hard to build. At fifty years old, she’s a cognitive psychology professor at Harvard and a world-renowned expert in linguistics with a successful husband and three grown children. 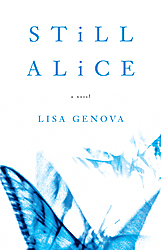 When she becomes increasingly disoriented and forgetful, a tragic diagnosis changes her life–and her relationship with her family and the world–forever. 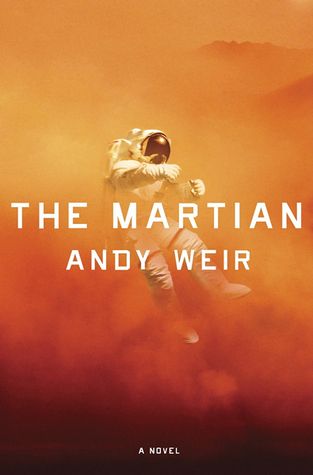 Goodreads Summary: Six days ago, astronaut Mark Watney became one of the first men to walk on the surface of Mars. Now, he’s sure he’ll be the first man to die there. Goodreads Summary: The year is 1929, and newlyweds George and Serena Pemberton travel from Boston to the North Carolina mountains where they plan to create a timber empire. 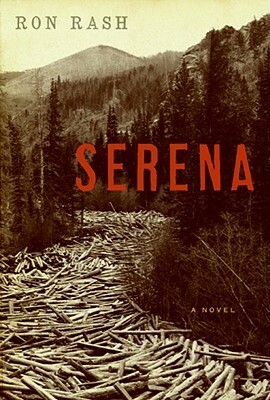 Although George has already lived in the camp long enough to father an illegitimate child, Serena is new to the mountains—but she soon shows herself to be the equal of any man, overseeing crews, hunting rattle-snakes, even saving her husband’s life in the wilderness. Together this lord and lady of the woodlands ruthlessly kill or vanquish all who fall out of favor. Yet when Serena learns that she will never bear a child, she sets out to murder the son George fathered without her. Mother and child begin a struggle for their lives, and when Serena suspects George is protecting his illegitimate family, the Pembertons’ intense, passionate marriage starts to unravel as the story moves toward its shocking reckoning. Rash’s masterful balance of violence and beauty yields a riveting novel that, at its core, tells of love both honored and betrayed. Well, It’s New Year’s Eve and day two of running this blog. To say that it has been an adventure so far is an understatement of epic proportions. I have already deleted the entire content of my blog three times – by complete user error on my part, of course! Here’s to 2015! Hopefully, this year will be full of incredible books to read, to write about, and to discuss!!! It would seem that I have a great deal to learn about how to build, create and maintain a blog. However, this quote seems aptly appropriate for my current endeavor. This is my first official post as a blogger. Please be patient with me, I am learning.